Christian Kirketerp was a successful captain and businessman, who struck it rich in the gold mines. He was born in Copenhagen, Denmark on April 23, 1817 and studied sailing. At the age of 18 he arrived in Boston after spending two years honing his skills on the sea. On December 28, 1849, he sailed from Boston to San Francisco aboard the sailing schooner Roanoke. The trip took him 150 days and he, and a group of investors, sold the ship and its provisions upon landing on the West Coast. 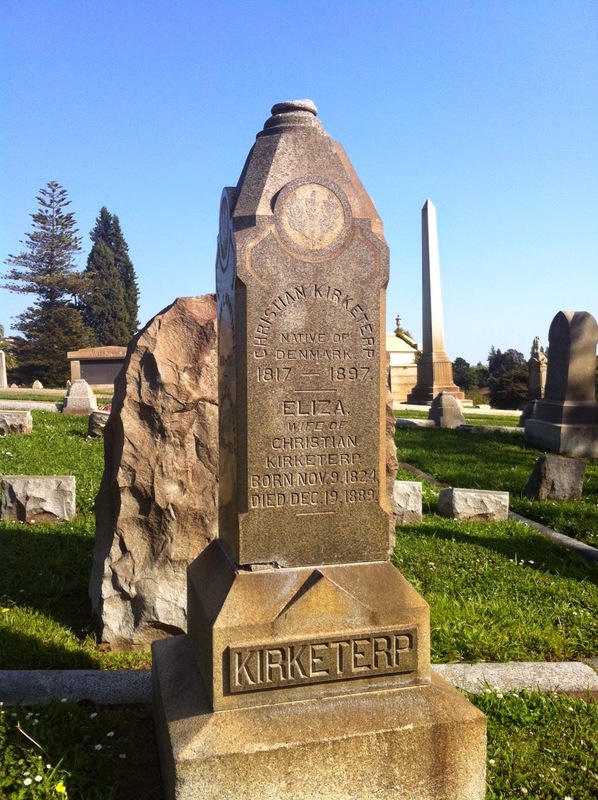 In San Francisco, Kirketerp formed a business which freighted provisions from San Francisco to Sacramento and Marysville. When competition from river steamers made making a profit difficult, he joined the gold rush and began panning for gold on the west bank of the Feather River. Frustrated during his first few days of panning for gold, Kirketerp almost quit. He kept at it for two weeks, eventually pulling $15,000 worth of gold from the river ($455,000 in today's dollars). 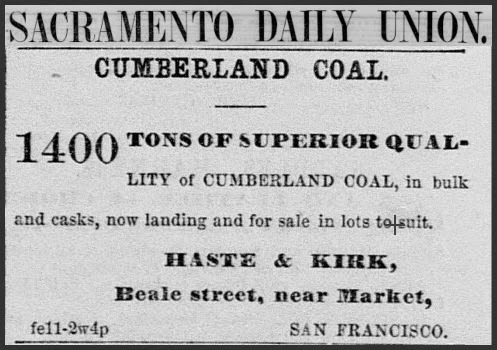 He returned to San Francisco and founded the firm Haste & Kirk at 21-17 Beale Street, which dealt in coal and pig iron. He shortened his name from Kirketerp to Kirk, because he believed his name was too long for a business name. After his retirement, he petitioned to change it back. He was also a member of the San Francisco Vigilance Committee, a group of citizens who took the law into their own hands to fight rampant crime and corruption in the municipal government. He died on March 1, 1897.